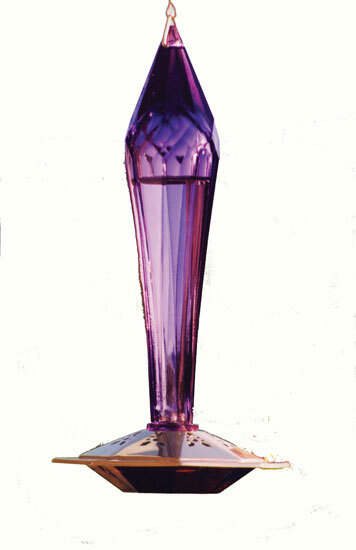 Faceted Amethyst Hummingbird Feeder.Handcrafted blown glass nectar bottle. Handcrafted blown glass nectar bottle. Solid copper base with openwork feeding ports. Amethyst sunlit glow shines through floral pattern base.